It is with a heavy heart that we mark the passing of a man who unwittingly is partly responsible for our ability to frag so easily. 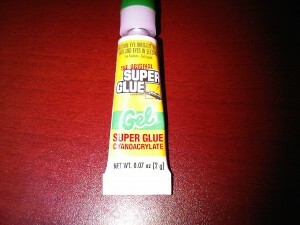 Harry Coover the inventor of cyanoacrylate super glue passed away today at age 94.
http://news.yahoo.com/s/ap/20110327/ap_on_re_us/us_obit_super_glue_inventor_2 Note that the need for its invention arose from of all things- broken refractometers. An entire industry you likely knew nothing about salutes you Harry.